C. Rathgeb, A. Uhl, P. Wild, and H. Hofbauer. 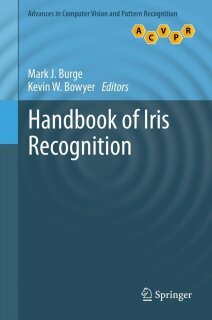 "Design Decisions for an Iris Recognition SDK," in K. Bowyer and M. J. Burge, editors, Handbook of iris recognition, second edition, Advances in Computer Vision and Pattern Recognition, Springer, 2016. USIT is based on easy-to-use command line tools (input and output relies on files). In order to download USIT follow the link on the bottom. Open source software development kits are vital to (iris) biometric research in order to achieve comparability and reproducibility of research results. In addition, to further advances in the field of iris biometrics the community needs to be provided with state-of-the-art reference systems which serve as adequate starting point for new research. This chapter provides a summary of relevant design decisions for software modules constituting an iris recognition system. The proposal of general criteria and adequate concepts is complemented by a detailed description of how according design decisions are implemented in the University of Salzburg Iris Toolkit, an open source iris recognition software which contains diverse algorithms for iris segmentation, feature extraction, and comparison. Building upon a file-based processing chain the provided open source software is designed to support rapid prototyping as well as integration in existing frameworks achieving enhanced usability and extensibility. In order to underline the competitiveness of the presented iris recognition software, experimental evaluations of segmentation and feature extraction algorithms are carried out on a publicly available iris database and compared to a commercial product. Copyright (c) 2017, University of Salzburg All rights reserved. C. Rathgeb, A. Uhl, P. Wild, and H. Hofbauer. “Design Decisions for an Iris Recognition SDK,” in K. Bowyer and M. J. Burge, editors, Handbook of iris recognition, second edition, Advances in Computer Vision and Pattern Recognition, Springer, 2016.
cahtlog2manuseg … Generates input for manuseg from caht segmentation logs. Can be used to segment masks for drop in mask replacement. Segment with caht and log (-l) the segmentation. Use manuseg and the generated files to normalize drop in masks. wahetlog2manuseg … Basically same as cahtlog2manuseg but using elliptical parameters as generated by wahet instead of circular caht parameters. koc … Algorithm of Ko et al. dctc … Algorithm of Monro et al. where the user id should be determinable (by regular expresssion) from the filename. showing equal error rate, overlap coefficient, area under curve (both based on the binning) as well as different ROC operation points (FNMR at a given FMR and FMR at a given FNMR). The packages contain software which is not part of the core USIT package. It was taken from different publications and is packaged with the USIT for convenience reasons. Each subdirectory should be self contained and should contain the respective software as well as a readme.md which outlines the license and usage information (in case it differs from the core USIT). Also note that windows binaries and makefiles might or might not be supplied in the packages. However, unless noted otherwise in the individual packages the requirements should be the same as for the base USIT package. Christian Rathgeb, Florian Struck, Christoph Busch, “Efficient BSIF-based Near-Infrared Iris Recognition”, in Proceedings of International Conference on Image Processing Theory, Tools and Applications (IPTA’16), 2016. The input file is read and processed based on the circular boundary finding algorithm descsribed in the paper below. The input is striped from it’s extension and parameter files for inner (pupillary), output_directory/input.inner.txt, and outer (sclera), output_directory/input.outer.txt, boundary of the iris are written into the output directory in a format compatible with manuseg. Heinz Hofbauer, Ehsaneddin Jalilian, and Andreas Uhl. “Exploiting superior CNN-based iris segmentation for better recognition accuracy”, Pattern Recognition Letters 120, 2019. DOI: 10.1049/iet-bmt.2015.0069 . Christian Rathgeb, Heinz Hofbauer, Andreas Uhl, and Christoph Busch. “TripleA: Accelerated Accuracy-preserving Alignment for Iris-Codes”, Proceedings of the 9th IAPR/IEEE International Conference on Biometrics (ICB’16), 2016. Added zero FMR and zero FNMR to gen_stat_np.py output. Fixed the gen_stat_np.py mcnemar and statistics part (id was basedon fliename instead of id so no match was found on rare occasions, imports reflect the new scipy package structure). Change of lg behaviour, it will skip inputs with empty data or mask instead of breaking. Should be more stable in batch processing now. Change of qsw behaviour, it will skip inputs with empty data or mask instead of breaking. Should be more stable in batch processing now. Changed hd to give some more informative errors when it fails. Heinz Hofbauer, Ehsaneddin Jalilian, Andreas Uhl. “Exploiting superior CNN-based iris segmentation for better recognition accuracy”, in Pattern Recognition Letters 120, 2019. DOI: 10.1049/iet-bmt.2015.0069. Fixed an error in gen_stats_np.py where output from hd was assumed, or more specifically a sorted list of filenames. This should be more generic now. Fixed an error in gen_stats_np.py the area under curve was slightly overestimated (depending on the slope). Fixed an error in wahetlot2manuseg where an ellipse with spanning rectangle of width or height < 1 only produces two points. Peter Wild, Heinz Hofbauer, James Ferryman, Andreas Uhl. “Robust Iris Image Segmentation”, In Iris and Periocular Biometrics, IET, 2016. Fixed a division-by-zero bug in the mask generation of wahet. Fixed a lot of errors when wahet failed to find a sane segmentation. Fixed a bug in caht where eyelid search on image boundary lead to out of bound writes. gen_stats_np.py takes a score file, as generated from hd and outputs statistics (EER, FNMR) and distribution files for plotting. Fixed a crash when a faulty parameters to hough_circle would generate a negtive size (caht). Fixed a various memory problems with lookup_table in caht. Fixed a division-by-zero bug in the mask generation of caht. Hamming distance and masks: new options to skip failures (-sf) and log them (-sfl <file>), failures happen when there are no unmasked iris bits, i.e. nothing to compare. The default remains as it was up until now. Discussion: Currently hd is calculated based on no errors (which is technically correct). However this leads to bunching mask failures at HD 0, leading to grossly inflated FNMR at FMR=X% values. This is not usefull, but was the default up till now, and remains so. The new options allow the more sensible approach of allowing to remove the resulting comparisons from the results in an easy way (and log them so they can be reported). Fixed the bug where an empty point list for ellipse fitting would cause manuseg to break. Now the one failing input is skipped and the rest runs through. HD has now the capability to report the bitshift at which the optimal HD was found. Fixed a bug where the lg, cg, cr and qsw features wrote the bitsequence for iris codes bytewise out of order, i.e. byte order was correct, however bit order per byte was wrong. This lead to alignment errors with HD rotation correction with the -s option. Christian Rathgeb, Florian Struck, Christoph Busch. “Efficient BSIF-based Near-Infrared Iris Recognition”, in Proceedings of International Conference on Image Processing Theory, Tools and Applications (IPTA’16), 2016. C. Rathgeb, H. Hofbauer, A. Uhl, and C. Busch. “TripleA: Accelerated Accuracy-preserving Alignment for Iris-Codes”, Proceedings of the 9th IAPR/IEEE International Conference on Biometrics (ICB’16), 2016. Heinz Hofbauer, Fernando Alonso-Fernandez, Josef Bigun, and Andreas Uhl. “Experimental Analysis Regarding the Influence of Iris Segmentation on the Recognition Rate,” in IET Biometrics, 2016. Renamed iffp to ifpp (for iterative fourier push pull).